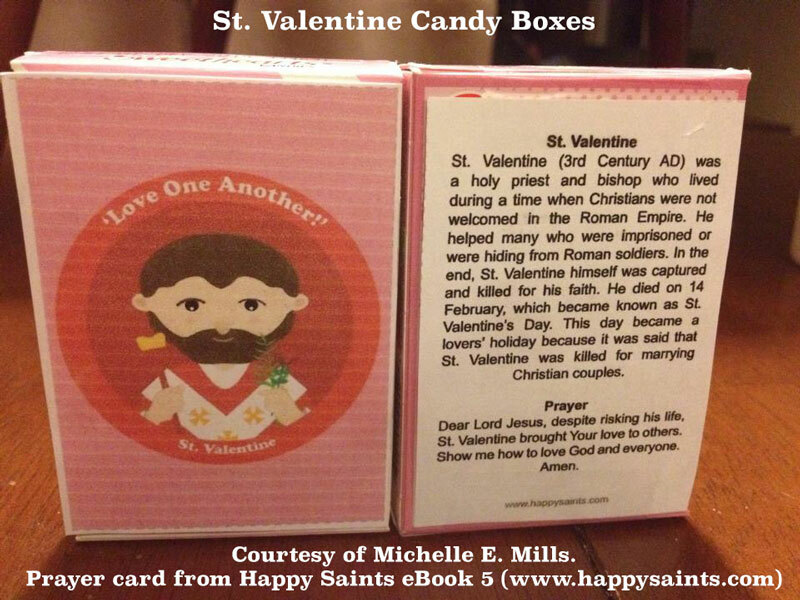 Happy Saints: St. Valentine Candy Boxes! St. Valentine 'Sweetheart' Candy Boxes! Thanks to Michelle E. Mills for sharing this idea for Valentine’s Day. The prayer card is from Happy Saints eBook 5.